Last Friday morning I woke up and I really wanted to see my cofounder/editor (who happens to be my daughter) and the next thing I knew I was on a train to Manhattan! 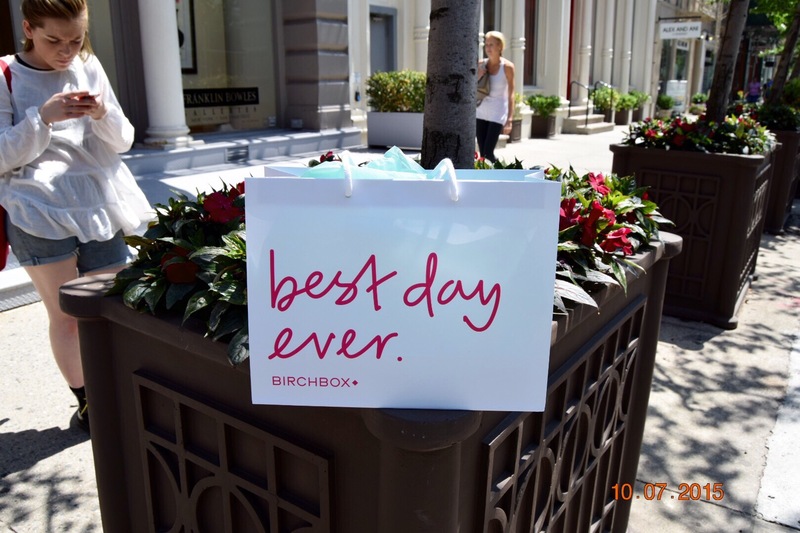 I want to share my little trip with you guys because I had a much anticipated visit to the Birchbox store. If you read my “Battle of the Beauty Subs”, you know that I am a Birchbox subscriber. We were just strolling along Broadway in the Soho area and I remembered the Birchbox store and we happened to be 4 blocks away. It really worked out perfectly. The location is 433 w. Broadway and its Birbox’s Flagship store where you can test newly released products, check out the current month’s products, or build your own box. I was surprised to learn that you could also schedule hair, makeup and/or nail appointments!! The best part is, as a member, you can schedule a makeup, or skincare class for FREE. Otherwise, for non-members, classes are $30. The store has a pretty large section of new products that each have a tester available for you to swatch or wear. I did run into one product ,I was interested in, that did not have a tester and a sales associate immediately ran to open a new one for me to test. The customer service was above and beyond and the women working there were very knowledgable and extremely helpful. Full-size products are not discounted and pretty much retail the same at Sephora or ULTA, the main draw is that the brand or products are new to the market with a wide variety of organic, natural, and vegan products. Some of these items are exclusive to Birchbox or just generally hard to find. Let’s talk about the BYOB (build your own box) section. I can’t say I was excited about it because it’s a very small section that consists of sample sizes from the current month. As a subscriber, it wasn’t very appealing since the cost is $15 and I currently pay $10 and sadly they are products I already recieved. If you aren’t a subscriber it’s a cool way to see if you would be interested in joining Birchbox. The excitement for members is being able to purchase the full-size of item that you fell in love with from one of your boxes. After speaking with the staff and learning that I could use my Birchbox subscriptions points in the store, how could I not buy something? It’s all for the blog right? Anyway, I really wanted a more neutral shade of Stila’s Stay All Day Liquid Lipstick because I liked my sample but it was super hot pink and just not my shade. They had every shade currently available! I also wanted a lip primer so one of the sales associates suggested the brand Make. 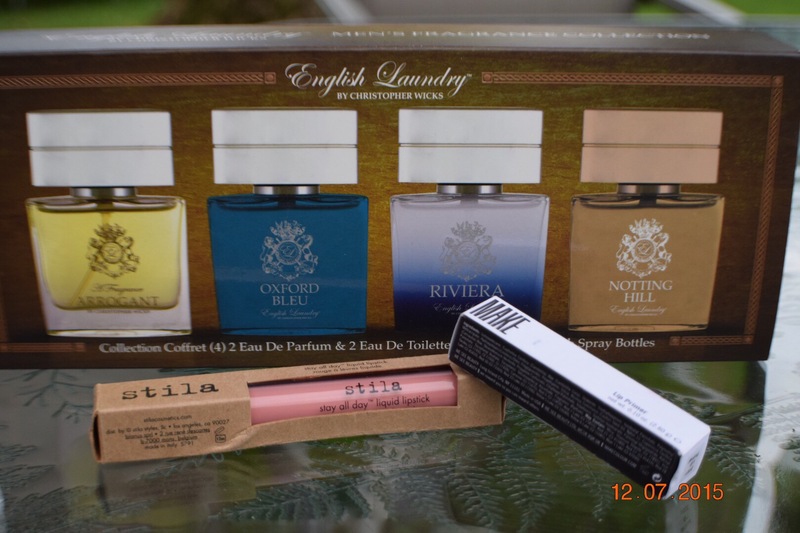 (Sorry, I will do an official review and swatch of Stila and Make soon). The last item I bought is one that I will ALWAYS suggest as the perfect male gift. It’s English Laundry’s Coffret Set. I do want to give an honorable mention to the men’s section especially since my husband was actually shopping in a beauty store! They have everything including razors/shaving products, hair products, lotions, oils, and cologne. If you are in the area or not I highly suggest making a visit to the Birchbox Flagship store. You won’t be disappointed!! 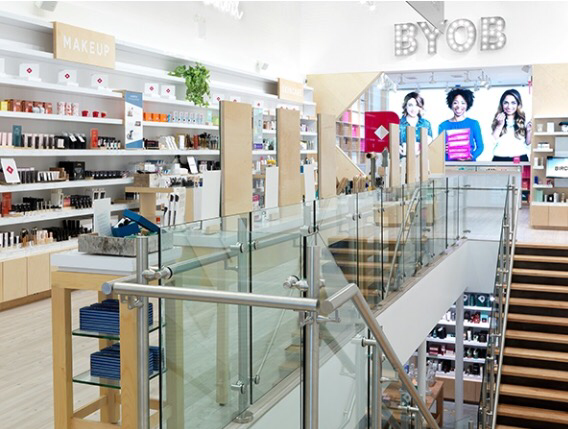 Check out their upcoming events, plan a trip, or schedule a service at https://www.birchbox.com/stores/soho Subscribers please schedule a FREE class…there is always room to learn no matter how beautiful we are 🙂 I ran out of time and I am really curious to know how the classes are. If you’ve taken one please leave a comment about your experience.